Pilgrim Man Costume By: California for the 2015 Costume season. 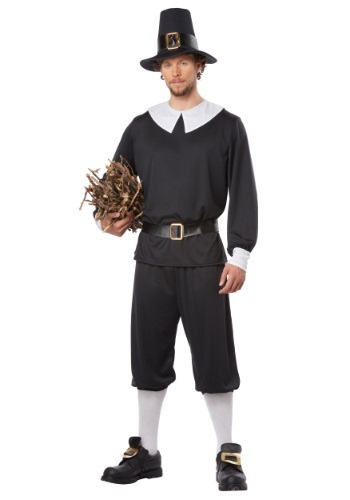 Wear this Pilgrim Man Costume and become one of the original settlers of Plymouth Colony! Do you have what it takes to arrive in Massachusetts in November and build a house and find food to survive the winter? If so, this is the costume for you.